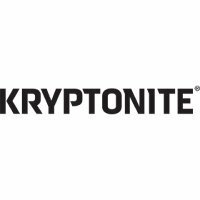 This Kryptonite bicycle lock is built to Sold Secure Gold Standard. This means that is has been manufactured to withstand a 5 minute attack. That's impressive when you consider that some locks can be overcome in 5 seconds. This Kryptonite bicycle lock is built to Sold Secure Gold Standard. This means that is has been manufactured to withstand a 5 minute attack. That's impressive when you consider that some locks can be overcome in 5 seconds. 'Integrated' means that the Evolution lock barrel and chain are one, not separate. The chain is constructed with 10mm-thick hardened triple-heat-treated boron manganese steel 6-sided links. The chain boasts a patent-pending pin-less design where the chain is secured to a hardened deadbolt to ensure maximum holding power to ward off attacks. In other words, this chain has no weak links. The chain is fully enclosed in a nylon-webbing sleeve to protect your frame's paint job from scratches. The nylon cover also makes the chain easier to coil and easier to transport. Supplied with 3 stainless steel keys. The other 2 keys are especially ergonomic, smooth-operating 'I' keys. Approved to Gold Sold Secure standard. Approved to Thatcham CAT3 standard. The chain is 90cm long so it will reach round lampposts that a D-lock might not.